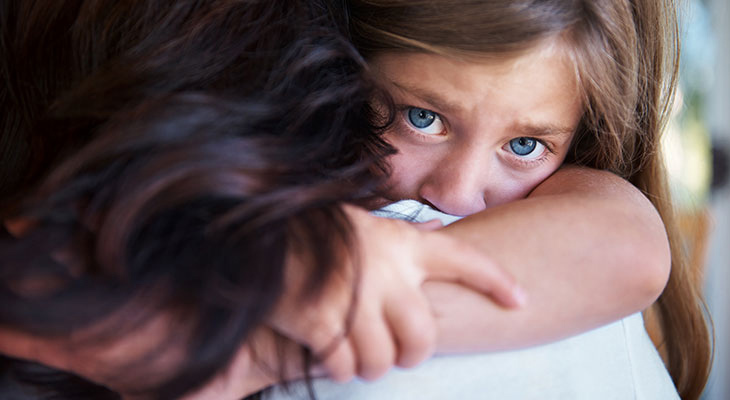 How Do You Help Your Child Deal with Fear? We also need to keep in mind that moms aren’t the only ones who experience fear. Our children do. Fear of the dark, of being left alone or separated from their parent, and fear of dogs or insects, are common fears. Some children even fear being sucked down the drain with their bathwater. Although we know that won’t happen, the fear is real to that child. What do our children do when they’re afraid? Unless they are shown and taught, children don’t instinctively know what to do, except worry and become anxious. So as moms, we need to teach them. Some of the ways we can do this is by our example, by discussing real life scenarios, and also through the use of story. Children easily relate to stories, often seeing themselves in the characters they read about. Stories help children learn about their world and about complex feelings such as fear. And since books are a useful source of information, they are wonderful tools for us as moms. To help instill a love of reading in children, and to help instill Christian values, such as patience, compassion, and trust, I wrote the early reader series, Tales of Buttercup Grove. 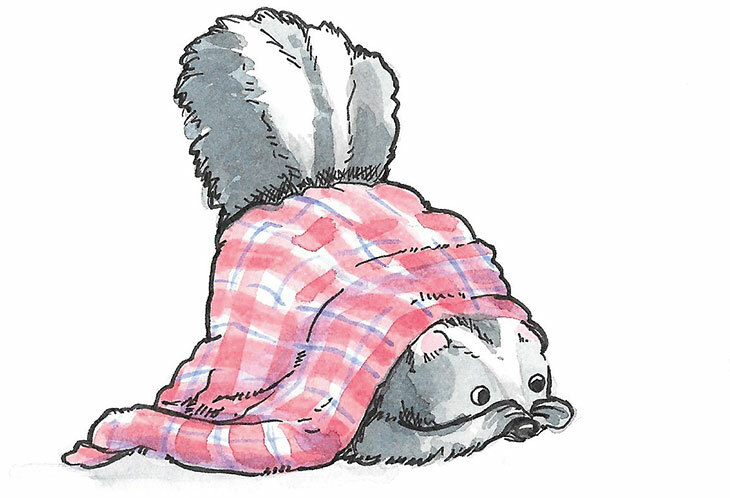 The first in the series, A Windy Spring Day, begins with Skunk, one of the main woodland characters, huddled in the corner of his couch, frightened by the wind. Feeling afraid, he calls on his best friend, Raccoon. 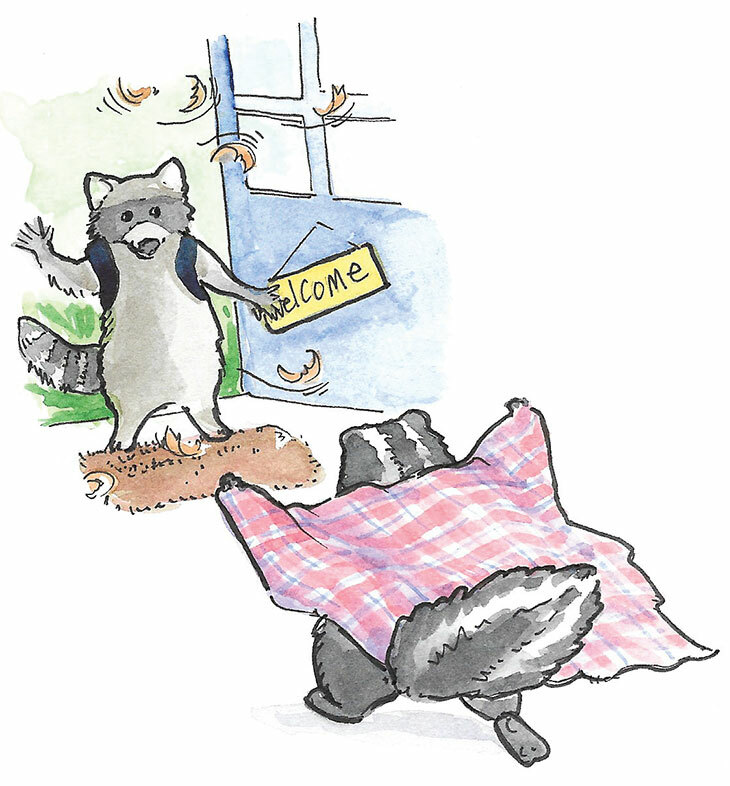 Now Raccoon, who is a sure voice of reason, comes to Skunk’s rescue. And when he does, he brings a surprise—a backpack filled with all things needed to build a kite. 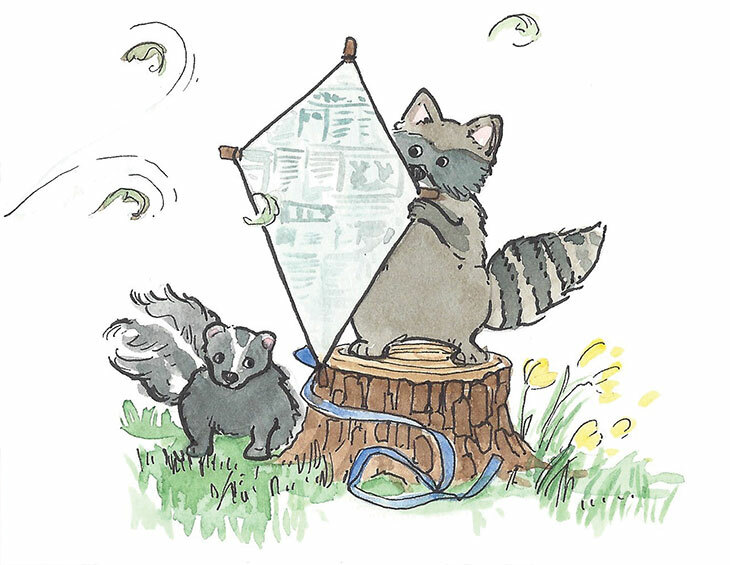 By the end of their journey, Skunk is flying their kite, enjoying the wind, and no longer afraid. The story closes with Psalms 56:3 “When I am afraid I will put my trust in you.” It’s easy for a child to memorize and tuck inside their heart. A Windy Spring Day not only takes children on a fun adventure, it helps them realize that sometimes their fears can be turned around. Books are wonderful tools to help our children learn about things that matter. And guess what? If you visit talesofbuttercupgrove.com, there are free downloads that correlate with the story…one more way to help your children learn and have fun in the process. Wendy Dunham is an inspirational children’s and middle grade author, as well as a therapist for children with special needs. She is the proud mom of two adult children. Learn more at wendydunhamauthor.com.